Dreadlocks vs Braids: What’s the Difference? Many people assume that dreadlocks and braids are the same type of hairstyle. After all, dreadlocks are created by “braiding” hair together. While they share some similarities in terms of appearance, however, dreadlocks and braids are two unique hairstyles with their own characteristics. So today we’re going to take a closer look at the nuances between these two styles. One key different between dreadlocks and braids is the time it takes to create them. You can often braid your hair in less than hour (depending on the length), creating a full-fledged set of braids that enhance your image. But dreadlocks require a greater amount of time and effort, with individuals often spending days if not weeks to create their dreadlocks. So if you’re looking for a fast hairstyle that requires minimal time and effort, braids might be the right solution for you. If you are want a more polished appearance, and have the necessary time to invest, then dreadlocks may be the better option. It’s also important to mention that dreadlocks are somewhat permanent, more so than braids. Braided hair is easily undone by unraveling the braids, at which point you can allow your hair to straighten naturally or use a straightening iron to speed up the process. Removing dreadlocks is a bit more difficult and time-consuming. From afar, dreadlocks and braids look very similar. They both have “locks” in which hair strands are grouped together. But braids have more of a zigzag shape due to the way in which they are created. For hair to become braided, two or more strands are weaved in and out to form the braids. I recommend viewing examples of both hairstyles to determine which look is right for you. You’ll typically find that both dreadlocks and braids require a minimal amount of maintenance. Aside from washing and conditioning, there’s really not much else that needs to be done. Of course, you’ll need to guide new hair into braids or locks, but this is something that can be done in just a couple of minutes. As you can see, dreadlocks and braids are two similar hairstyles. They have a similar “locked” look, and maintaining them is relatively the same. 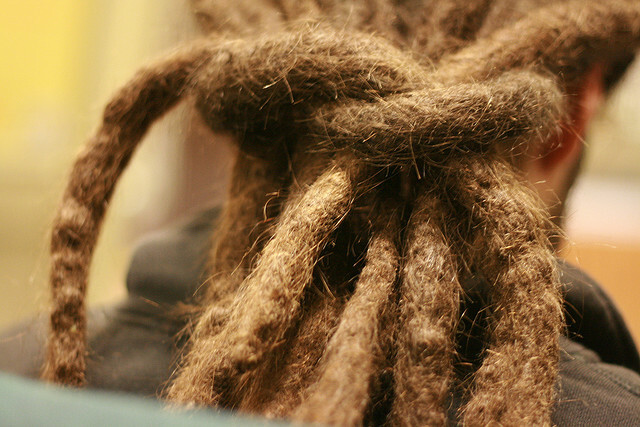 However, dreadlocks offer a more finished and complete appearance than its braided counterpart. This makes dreadlocks a popular choice among fashion-forward men and women who seek to differentiate themselves from the crowd.